Photo: This child is thankful to be enrolled at our Kampala Children’s Hope Center School where he receives a quality education and fresh-cooked meals every school day. Today we are thankful to report that 2 new girls are enrolled at our Kampala ‘She Has Hope‘ rehabilitation home, modeled after our rehabilitation home in Nepal, both of which empower women and girls to recover from the trauma of human trafficking. The 2 girls were rescued after being deceived and abducted by a trafficker who was attempting to sell them to the Arab countries. Thankfully, with the help of local police, the girls were rescued at the border of Uganda and Kenya. However, the girls were so frightened by their traumatic ordeal that they thought the police were going to arrest them, so they escaped and ran until they met a local pastor who brought them to our rehabilitation home where they are now safe. As part of their skill development coursework at our rehabilitation home, the 2 new girls are learning to make necklaces, bracelets, hats, and other handmade crafts. Their beautiful creations are sold online in our ‘She Has Hope’ crafts shop where all proceeds go toward their rehabilitation. In addition to craft-making, the girls are also volunteering at our Kampala Children’s Hope Center School and at the local church. We have one tailoring machine, so we have recently expanded the the girls’ development coursework to include tailoring, an extremely valuable skill to learn which should provide steady work for the girls after they graduate from our rehabilitation program. Thus, we are seeking to raise $1,350 to purchase 9 more tailoring machines ($150 each) in order to be prepared for more girls to learn this skill together in the future. We also need to purchase a higher quality rental home — right now the home is not adequate for our needs and the safety of our girls. With your support, we are seeking to build a fund of at least six months’ rent and utilities which comes to about $1,800. With a larger, improved facility we hope to further expand the skill training being offered to the girls to include hairdressing, catering, and computer skill training. The students at our Children’s Hope Center School recently enjoyed a holiday break where they enjoyed playing football and volleyball together as well as running races and sketching. The children also started participating in our new Music, Dance, and Drama program where they are learning traditional, local dances with local instruments and drums, and they are also learning traditional drama and poetry. 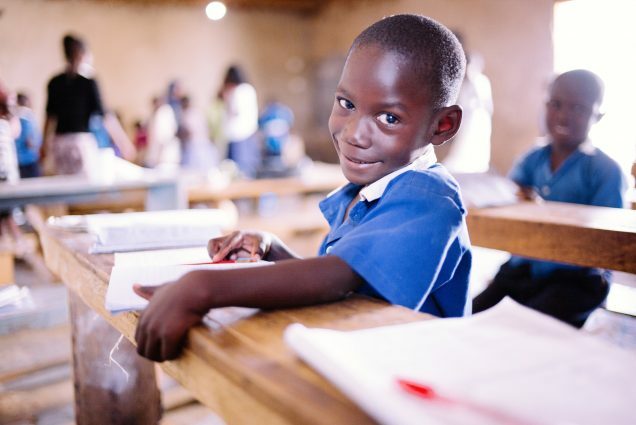 The new school semester started back up in August with 147 children (ages 3-15 years) enrolled, studying English, math, science, social studies, writing, reading, Luganda (one of the native languages of Uganda), and physical education. The children are currently taking their mid-term exams in preparation for their final exams in November. Thanks to your support, we were able to purchase new textbooks for our students and 6 more new desks for the classroom. Now we are seeking to raise $1,486 in order to purchase 10 more new desks, 10 tables, and 100 plastic chairs for the children’s comfort as they study and enjoy fresh-cooked meals at school. We also need to raise $800 to complete the pit latrine toilet construction before the rainy season begins again in December-April. Despite the positive progress of education being offered in the slum colony, the school continues to face some challenges, mostly from damage caused to our humble facility during severe flash floods. The colony is located at the base of the Gaba hills approaching Lake Victoria, so the area is very vulnerable to flooding during the rainy seasons. Thus, we desperately need to shift the Children’s Hope Center School to a temporary structure near the local church which will keep our children and teachers on dry ground even during the rainy season. To build this temporary structure, we need to raise $3,254 in order to purchase iron sheets, poles, roofing timbers, nails, plywood, and chalkboards. 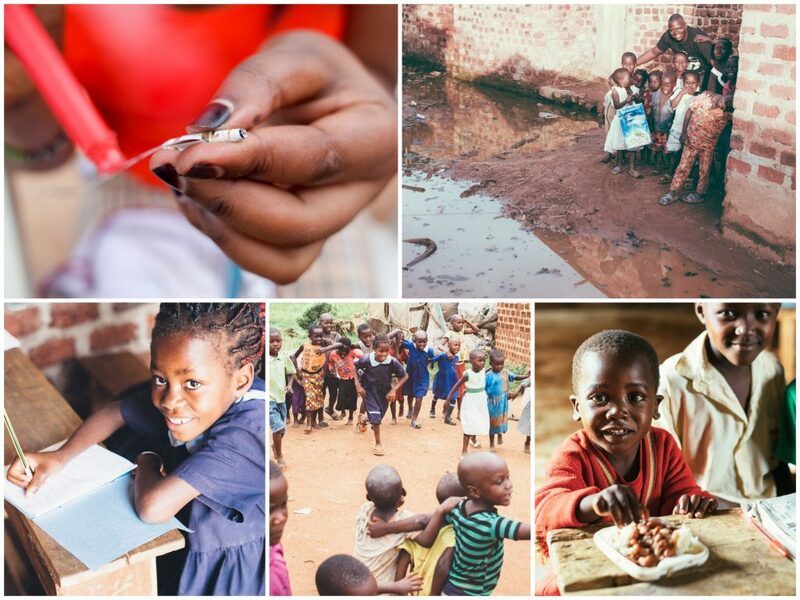 My name is Namazzi, studying at the Kampala Hope Center. I thank my God, my pastor, and the Director, Mr. Kirby, for giving me this opportunity to study. I had no hope to go to school because I lost my parents who would have helped and supported me, and life has been very hard for me since my parents died. I thank God that I am studying and getting food at school. I am happy that God has helped me to study until I graduate and get a job to help support me and my young brothers and sisters. And I also can help those children who are orphans and have no support — that is my dream. I am very happy that I can speak English and I hope to be better by the grace of God.